A friend of mine has a theory that you can make pretty much anything sound gross/dirty/horrible simply by adding a Latin America place in front of it. Let your imagination run with it for a while and you’ll get the idea. Before this past June, I had never been to South America before, and I really didn’t know what to expect. Based on my friend’s penchant for naming things, I worried that maybe he was right. In fact, he couldn’t have been more wrong. What I found in Peru was nothing short of breathtaking. High in the Andes I found a society that was historic, proud, and continuing in spite of the number of hardships that had befallen it. My knowledge of the history of South America was extremely limited, I’m sorry to say, and for me this trip was more enlightening than anything else. Yes, I was keenly aware of the arrival of the Spanish, and the horrors they inflicted, but it’s a different animal all together to see their impact firsthand. 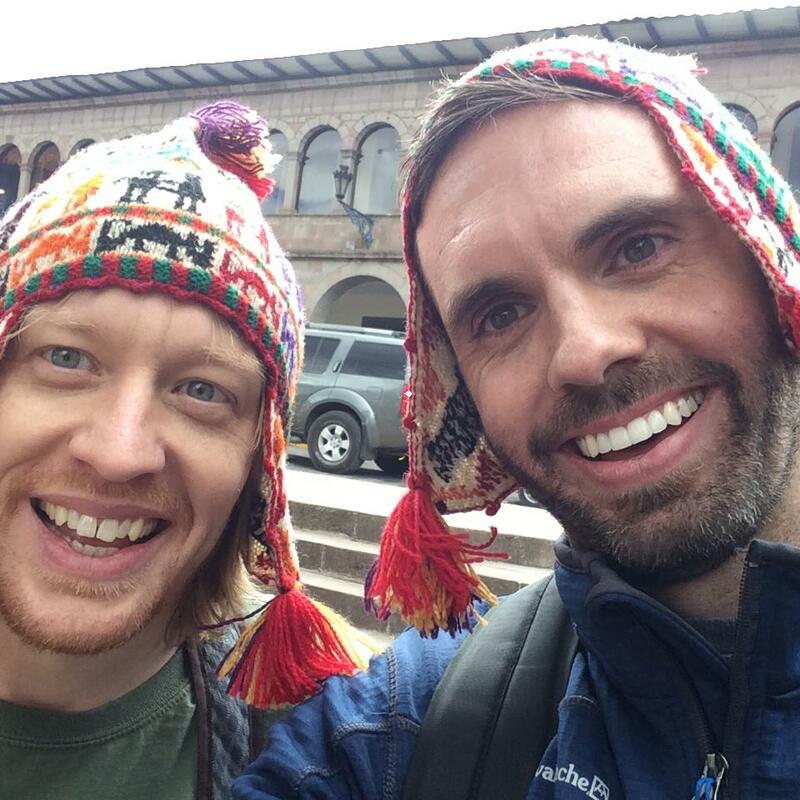 Once again, I was traveling with my childhood friend Keith, and arrived in Cusco to begin our journey. The city is 3,400 meters above sea level, and we intended to take it easy our first couple of days. The air was thin and even walking up a flight of stairs left us winded. Everyone suggested we drink lots of cocoa tea to help with the altitude acclimation, and it did seem to improve things. Maybe it was just the noticeable jump in our heart rates after we drank it, but we seemed to move around a bit easier in the hour or so after we would have a cup. Maybe it was the stimulant-like tendencies inherent to the tea, too. Either way we made our way down to the main square and saw the cathedrals, a group of television cameras and a crew (strangely), and the statue of Pachacutec, the South American equivalent of Alexander the Great. I had no idea who he was, but it was an impressive golden statute nonetheless. I would properly educated two days later. We made our way up to the Inca Museum a few blocks up from the square, where we ran into a group of other Americans and made small talk. It was about that time that two men with enormous backpacks came jogging past us and asked us to help them. Weirdly, all of us agreed to help, and took off after them. Camera crews were following us. It turns out that they were on the Dutch version of “The Amazing Race” called “Peking Express.” The two guys, only one of whom I was able to pick up a name from, Roberto, needed help to complete a challenge so they could get a shortcut. We agreed. I won’t go into detail about what was involved, but in the midst of it, we were able to snap this picture. It involved us running frantically around the city, and I felt like I was going die because I couldn’t breathe, having not yet acclimated to the altitude. When it was over, our guys were thankful, and we felt like we had just run the 100 meter dash at world record breaking speed. After that excitement we walked back to the museum and took a quick tour. The most impressive part of the museum is its display of mummies. Again, not being terribly knowledgeable of what I was looking at, it seemed so strange that the mummies were mummified in fetal positions. After that we strolled through the streets and looked at the architecture. 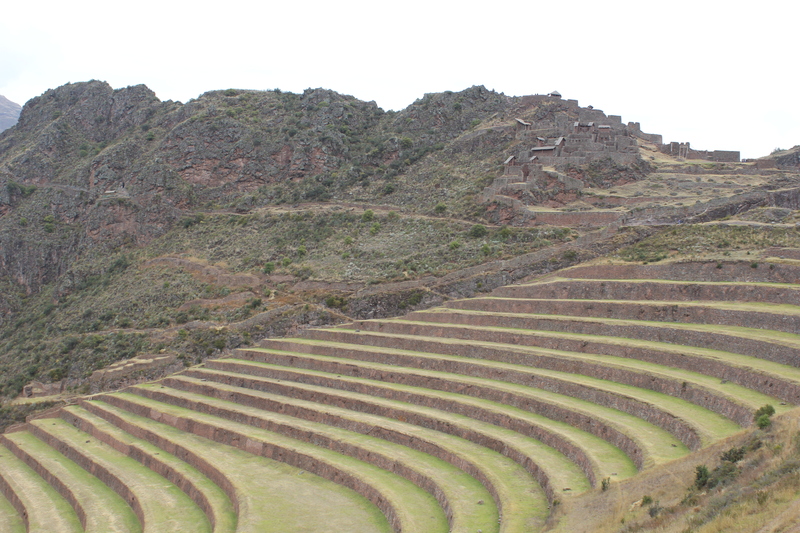 The Spanish ransacked Cusco, once the capital of the empire, and damage quickly becomes obvious. Many of the oldest sections of the city are built on massive, carved, and polished stacked stone. They were carved using only water, and no mortar was used. They were cut to fit together like puzzle pieces. These aren’t small stones, either. Some of them are estimated to weigh up to 25 tons. The Spanish couldn’t figure out how they were moved and today, historians still haven’t answered the question. The Spanish did manage to rip down many of their buildings, and in their place built Spanish style homes and Catholic churches. The result is an odd mix of white stuccoed buildings with heavy foundations of black stacked stone. The next day we toured more of the city including Qorikancha, a massive temple complex that was looted and destroyed. It’s abundance of gold and silver decorations were melted down, and a Catholic cathedral was built on its foundation. 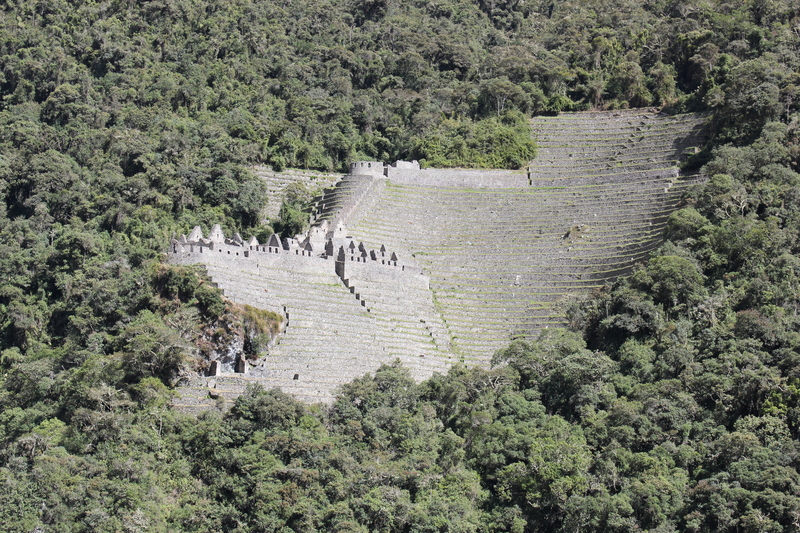 Then we headed out to see a few of the ruins just outside of the city, and this was where my education truly began. In Quechua, the indigenous language of the Peruvian people, the word “Inca” means king. They are the Andean people, not the Incas. Only their leader was the “Inca.” Stories handed down from generation to generation explain that the sun was birthed from water, specifically, Lake Titicaca, and sunlight and water carry enormous religious and ritualistic connotations for them. They were not an ancient civilization, but a relatively new one. In the 1300s and 1400s they slowly were developing their culture, and the end of the 1400s expedited this process led by Pachacutec. 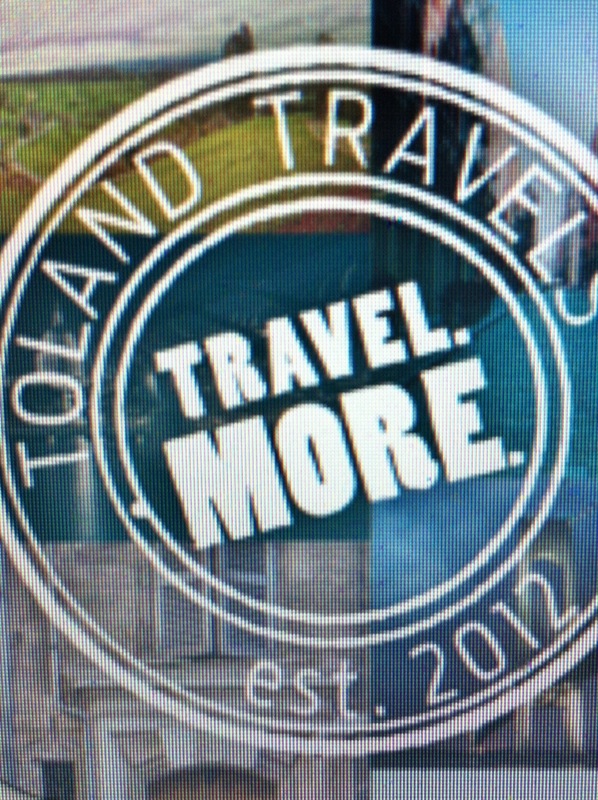 He traveled throughout South America and united the people in a common culture. Their architecture, religion, and sense of identity all began to reflect this. They turned to step farming on the sides of mountains. They carried out some human sacrifices, but llama sacrifices were far more common. They mummified their dead in the fetal position to be symbolic of the “rebirth” into the afterlife. 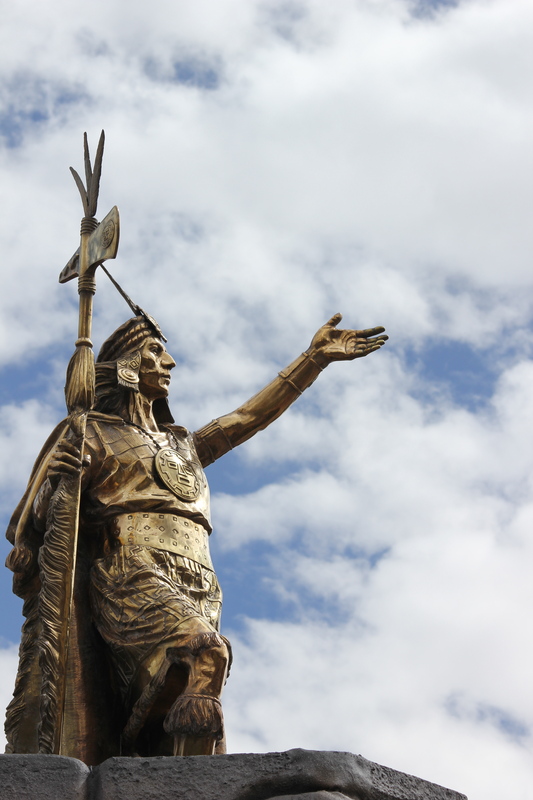 When Pachacutec died, he left his mighty kingdom to his two sons, who promptly went to war with each other. In the midst of this fighting, the Spanish arrived with just over 120 men. Against their guns and armor, the Andean people could not mount a formidable defense due to their own problems, and they were crushed. The Spanish enslaved them, cutting off noses, hands, and even arms, if their demands were not met. The Andean culture was outlawed, along with their language. To the Andeans, gold and silver which were used because of their reflective properties in religious services, not as a signifier of wealth. The Spanish confiscated and melted down everything they could and sent it back to Spain to fund it’s wars and economic growth. 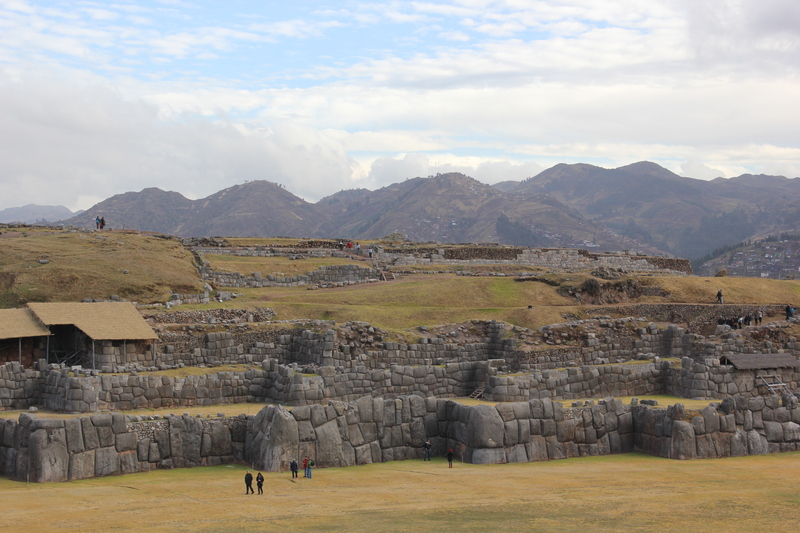 Standing in the middle of the ruins at Sacsayhuaman, and looking at the enormity of them, and imagining what it must have been like prior to the arrival of the Spanish, was disheartening. They were a new culture, and certainly an advanced one, when compared to the Mississippian tribes in what is today the Southeastern United States. It made me wonder what might have been, had they been allowed to evolve on their own. We ventured on to Tambomachay, where ritualistic bathing took place, and to a few other ruins before heading back to the hotel. The next day, we began our purpose for traveling to Peru. The first stops were in the Sacred Valley. It’s a mountain valley that is so stunning in its beauty that it quickly becomes clear why the people of the area have historically given it a religious significance. We stopped in Pisco, famous for its massive steps, developed centuries ago for farming. It was fascinating to learn that by using this technique the Andeans were able to create microclimates on each tier. They could grow wheat, corn, potatoes, and quinoa all in the same location based on temperature changes on each level (or step) of their farming structure. Across from the steps, though, we were faced once again with the reality of the Spanish impact here. On the side of the mountain hundreds of holes were visible. Each of these was a grave, and each had been vandalized and looted by the Spanish, looking for riches. We spent the night in Ollantaytambo, and prepared for what would be the highlight of the trip. The next morning the alarm sounded at 3:00am and we dressed, threw our backpacks on, and made our way to the train station. We boarded the train, and ate our breakfast. An hour and half later, just as the sun was starting to rise, the train stopped, we jumped off in the middle of the forest next to a river, and a moment later the train lurched forward and disappeared down the track. There wasn’t even a platform for us to step on to. Across the river, the mountains rose above the trees before us. 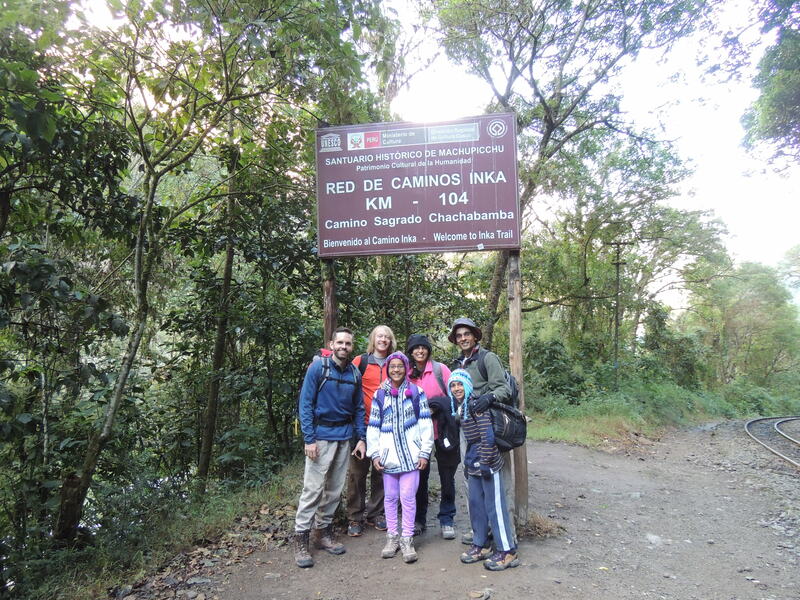 This was the start of the portion of the Inca Trail that we would be hiking. Keith and I weren’t alone on our trek. We were joined by a family from Texas. He was a doctor. She was a banker. Their kids were simply awesome. All of us were lead by Elvis, our fearless guide. We checked in at the guard tower, and slowly began our assent. I won’t lie. The first two hours were mostly uphill, and completely brutal. After we climbed, though, the trail leveled off a bit – a bit- and to our left side was the side of the mountain, but to our right was a sheer drop off that gave way to some truly magnificent views. Along the way, we encountered llamas, discovered mountain waterfalls, ate lunch sitting on 500 year old steps carved into the mountain, and then just as we were feeling exhausted, we turned the corner and entered the Sun Gate. 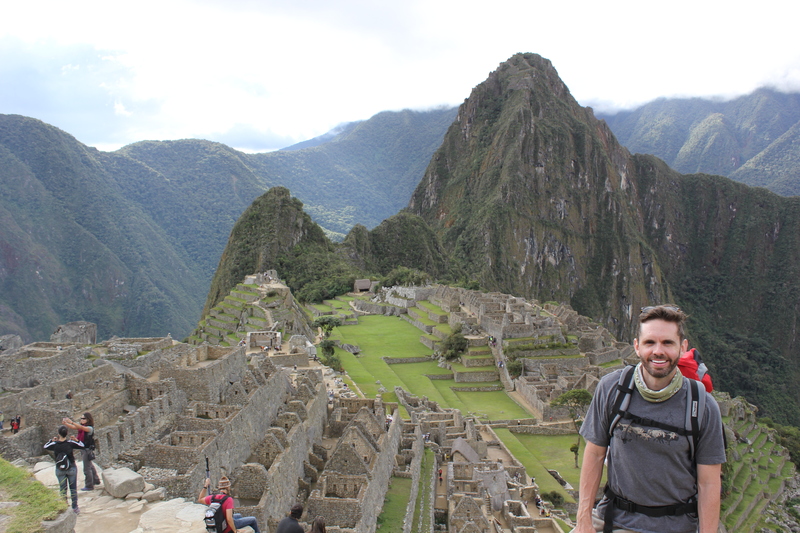 Stretched out below us was Machu Picchu. When we arrived the sun was setting and it was pristine. Unfortunately, it was also closing time, so we would have to wait to tour the site the next day. We woke up again, well before the sun and waited as the sun rose on the ruins. I took pictures, but it was even more spectacular in person. It was also here that we ran into Aaron Shock, former Congressman who had been hiding out since he ran afoul of Congressional rules for spending taxpayer money on redecorating his office. When our excitement wore off, we moved on to tour the complex, and again in my ignorance, I had no idea of how little anyone seemed to know about Machu Picchu. It was discovered by an American in the first quarter of the 1900s, and excavated. What was found was brought back to the United States (and is the subject of a seemingly never ending lawsuit between Peru and Yale University, which currently is in possession of the artifacts), but none of it clearly indicates what it was created for. Some say it was fortress. Others argue that was a royal retreat. No one really knows why or when it was abandoned, but the Spanish never found it. We walked down off the mountain to the sleepy town of Aguas Caliente, named after the local hot spring, but I can’t really recommend spending too much time here. There isn’t much to see or do, but we were lucky to strike upon a parade celebrating the anniversary of Machu Picchu being selected as a world heritage site. We eventually traveled on via train to Puno. 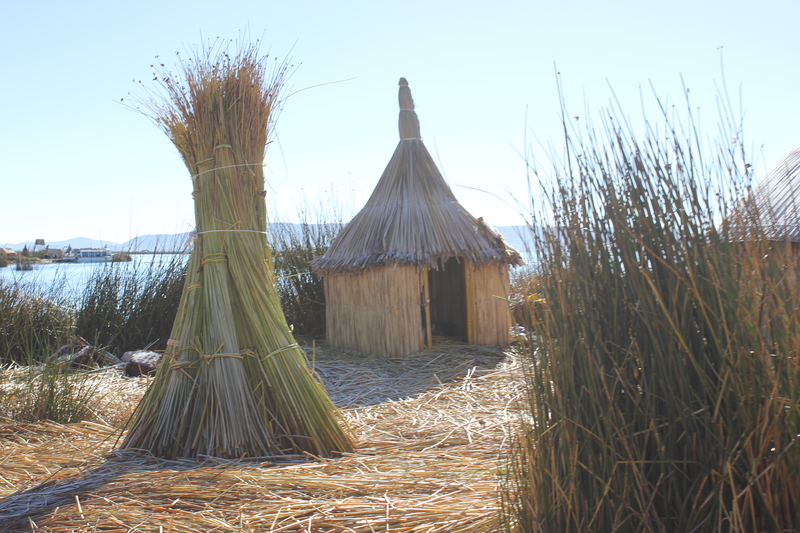 Located on the shore of Lake Titicaca, Puno doesn’t seem to offer tourists much in the way of attractions other than the lake. Unfortunately, though, at 4,000 meters, the water can get as cold as 20 degrees and the air temperatures well below freezing. It isn’t a warm weather, get a sun tan kind of place. Besides, you are so high, and so close to the equator that you would pretty much start to sizzle if you tried. We took a boat tour of the lake which included a short visit to one of the floating reed islands. As the Spanish moved into the areas, some of the locals began to pile up reeds on the lake and tie them down with heavy rocks. Essentially, they were building their own islands in an attempt to preserve their way of life. Today only a handful of people still live on these. They are largely supported by tourism, but the government does what it can to help them. It has given each island a solar panel, which runs a few light bulbs here and there, and they work together to provide a school for their children. 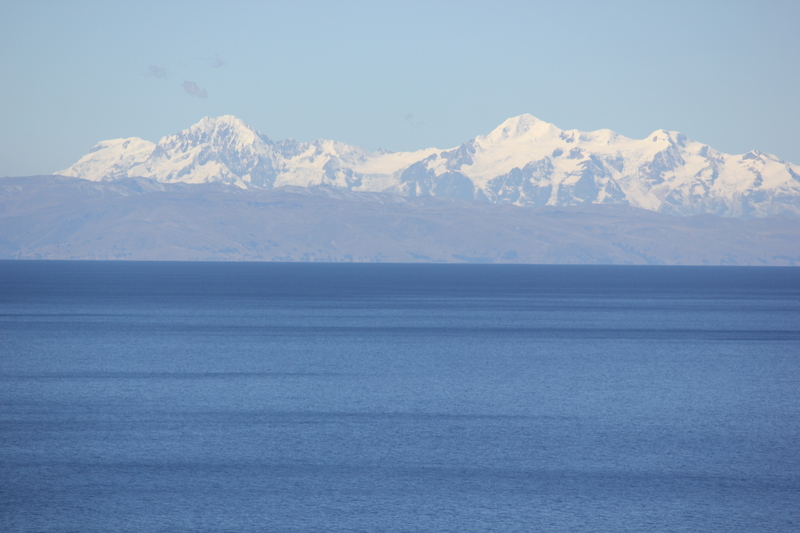 We also rode over to the large mountainous island of Taquile, which seems to have as many sheep as it does people. Puno was a nice area, but it was a bit anticlimactic after the days spent in the mountains. A quick stop over in Lima followed, that was relatively uneventful, before we boarded our redeye flight back home. I really can’t decide what I enjoyed more about my time in Peru. Was it the scenery? The people? What I learned? The mountains? Machu Picchu? It doesn’t really matter, in the end. One of these would be reason enough to return, but when combined, it means returning isn’t an option in the future, it’s a necessity.